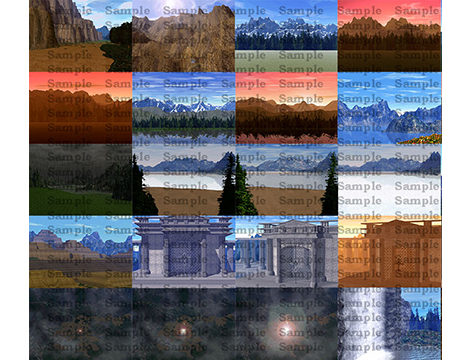 Eberouge Background image Pack 1| RPG Maker | Create Your Own Game! No sales of a game using this content is allowed where the buyer is a corporation or any multi-person entity. During long and mysterious journeys your characters will face great battles with great enemies. For all those great battles you need great battlebacks to create the perfect setting and look! With 33 beautifully crafted battlebacks, your characters will emerge into realistic worlds to battle for their lives! 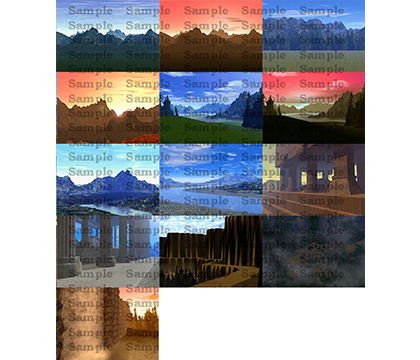 Created by Five Happiness, Eberouge Background image Pack 1 features 33 backgrounds with a valley, mountain, ruines, riverside and more. This pack will find a home in any fantasy and adventure-themed project and beyond! Backgrounds for adventure, fantasy, time-travel and more!